I have tried quite a few cleansers now and I always go back to this one. I feel like because it is a foaming cleanser, it works into the skin to remove any dirt and leaves the skin feeling soft and amazing! It's really easy to apply and lasts me a long time as well. This cleanser always helps to clear up my skin and gives it the everyday cleanse that is needed. 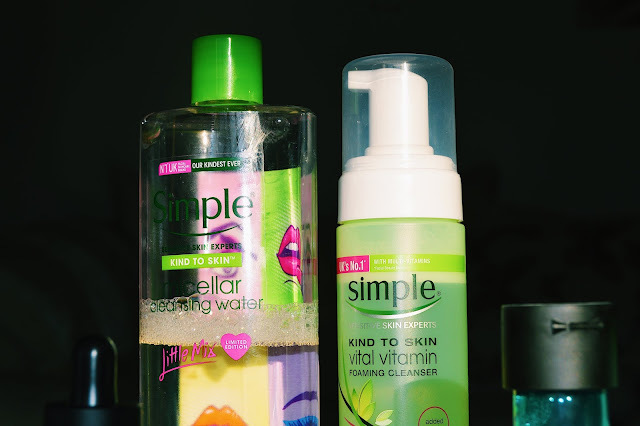 As the weather gets colder, its so important to remember to cleanse to keep your skin feeling fresh and clean. As this is a product that I continuously go back to buy, I would 100% recommend. 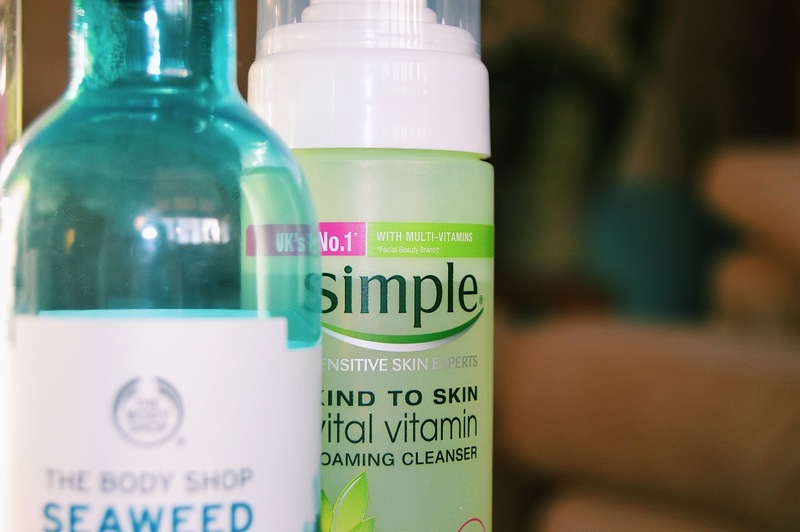 I never thought having a toner in my skincare routine would make a difference, but now that I have been using one for a while, I can't miss this step! I currently have two toners which I use as I love them both! 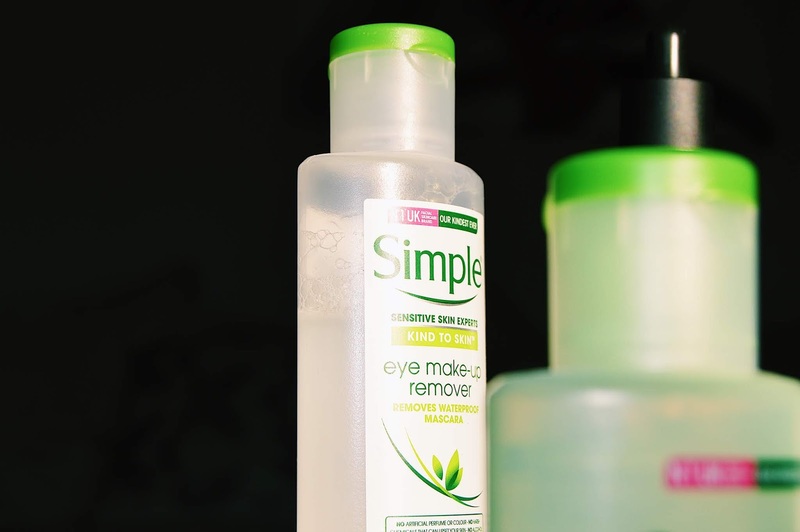 I tend to use the Simple one more on a daily basis as this one is a light and easy product which does the job. If I am having a day where I want to really clean the skin and complete a full routine, I will grab The Body Shop toner as this one gives a really good clean and makes my skin feel incredible! Now this product is one that I have spoken about before as it is definitely my favourite skincare product that I own. 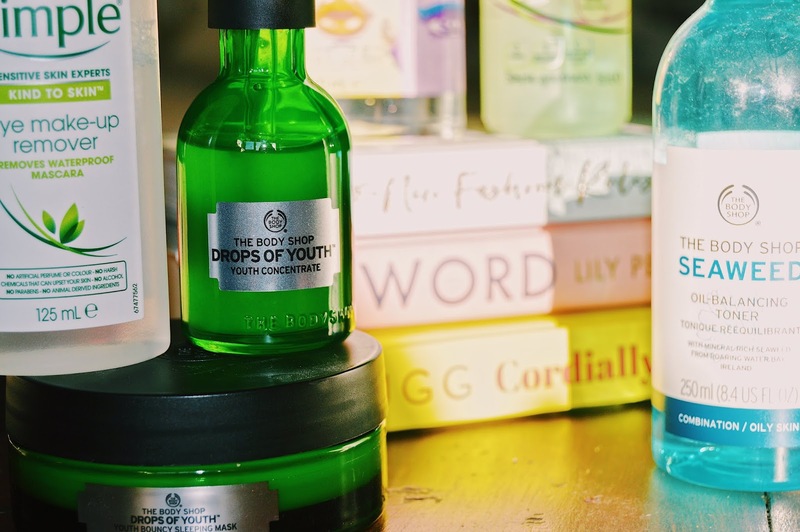 I never used a serum before until I went to a Body Shop event and learned how it works and why it's so important. 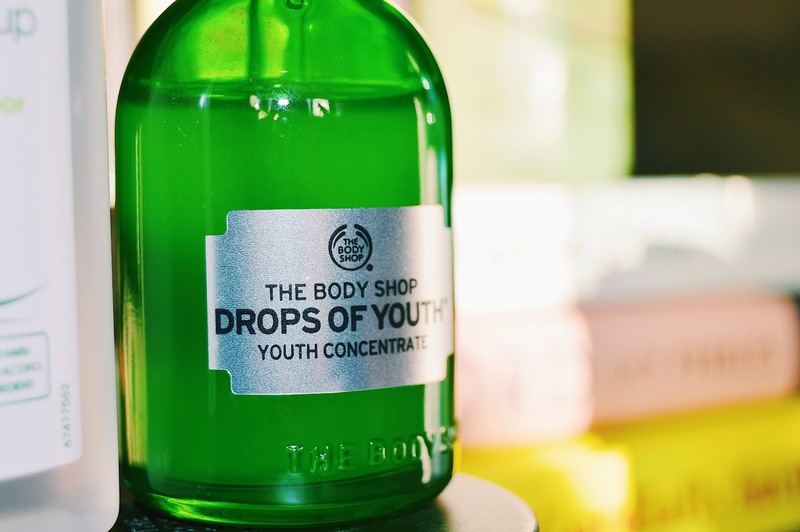 I decided to try the Drops of Youth Serum and I will never look back! This serum feels amazing to apply and really makes a difference. I think the whole combination of my routine has helped to clear up my skin but I especially think this product has made a big difference. This specific serum targets the first signs of ageing. Although I'm only 21, I feel like using these products early on really will help in the future! This product helps my skin come back to life again and I have to use this everyday! Now onto moisturising...a really important step during this time of year as the weather can make my skin really dry and in need of a lot of hydration! On an everyday basis, I will use the Simple Moisturiser as this is a really light product that doesn't leave your skin feeling sticky. 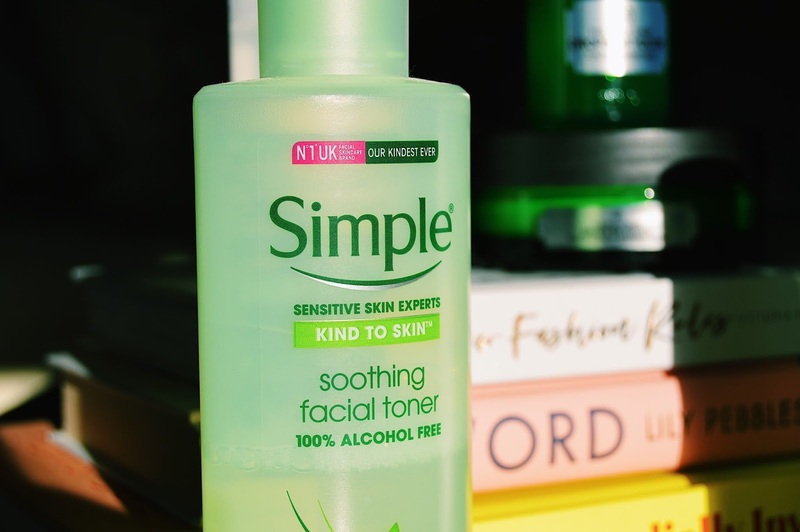 When I apply this before bed, my skin will feel really soft and hydrated the next day! I think it's a really great everyday moisturiser that everyone would love! The other moisturiser that I use is from The Body Shop. This is a product that I will use twice a week to give my skin a really good moisturise! This moisturiser is one of the most amazing skincare products to apply and has made such a difference to the hydration of my skin. Finally, I wanted to mention the face mask that I am currently using as I think it's a really amazing find that I now can't live without! The face mask is a Superdrug own face mask that is just 99p! They have a range of different masks to choose from but my personal favourite is the Super-fruits mask. It's really easy to apply and always leaves my skin feeling amazing! I apply this all over the face, leave on for 15 minutes and then rinse off. I think that you don't need to spend a lot of money on a face mask, when there are some amazing one's like this which are so affordable and cruelty free too! So that't it! 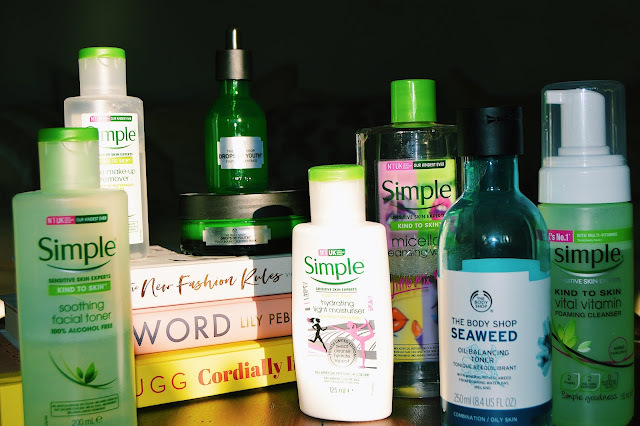 That's my current skincare routine that I have been loving for the past few months and I think is really helping my skin in these colder months! As the environment is constantly changing, it's so important to look after your skin. I think it's better to start the full skincare routine as early on as possible to help out in the future. I think that everyone should take the time to research what products they should be using and find out what type of skin they have. 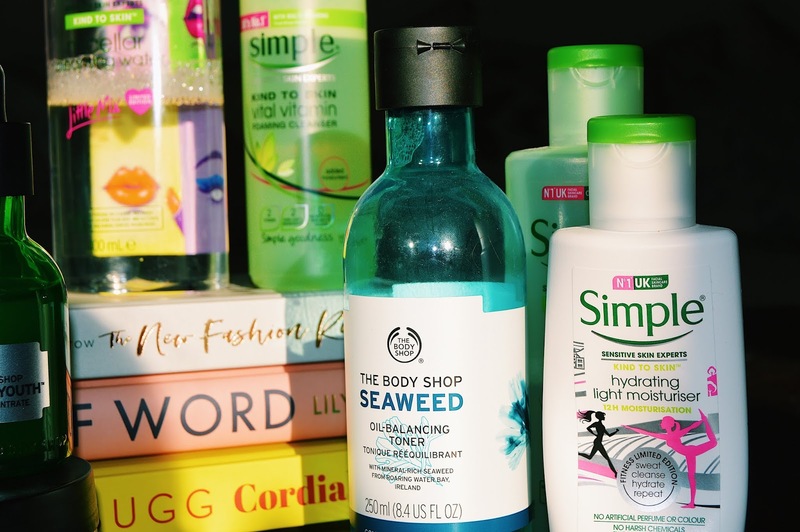 I have oily skin and always thought I should avoid oily products and not moisturise as much. But after finding out what my skin needs, I realised I was wrong! Now my skin is better than ever and it's all thanks to the products that I am using! If anyone has any recommendations of great cruelty free products I should try, then please let me know! I hope you all enjoyed this post and hopefully it gave some of you a reminder to give your skin some extra care!